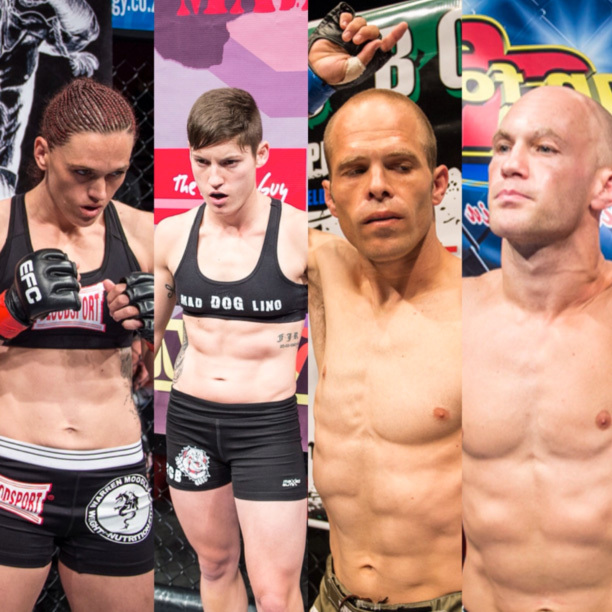 Johannesburg, South Africa – Headlined by two massive title fights, the first event of the year is heating up with two more exciting fights added to the card. Already announced, both Leon Mynhardt and Danny Henry are scheduled to defend their EFC championships against the number one contenders Dave Mazany and Igeu Kabesa in their respective divisions. Now set to open the main card on 5 March, two of South Africa’s finest female athletes go toe-to-toe, when Pretoria’s ‘Demolition Jacqui’ Trosee faces Durban’s Amanda ‘Mad Dog’ Lino. Plus, Nelspruit’s Lourens Botes takes on Durban standout Martin ‘The Diamond’ De Beer on the prelim card. Originally set to meet each other at EFC 46 last year, Lino was forced to withdraw due to medical reasons and it was announced that the bout would be postponed to a later date to be confirmed in 2016. It is now time for these two fast-paced action fighters to meet in this highly anticipated match-up. With the honour of opening the main card on the night, this will be the first time two South African female athletes compete against one another inside the EFC Hexagon. Just added to the card, the highly experienced bantamweight Botes will take-on young up-and-comer de Beer. Botes is currently riding back-to-back wins and a third victory over De Beer will surely elevate him up the divisional ladder. Conversely, the spirited De Beer is looking for a quick bounce back to his winning ways after suffering his first ever loss to former title contender Francois Groenewald. Keep watching EFCworldwide.com and EFC social media to stay up to date with the latest news and exciting fight announcements still to come. EFC 47: Mynhardt vs. Mazany, Henry vs. Kabesa, presented by BetXchange.com, and takes place at Carnival City, Johannesburg, on Saturday 05 March 2015. Tickets available soon at www.computicket.com.